Bumblebee – One of the best films of last year, Bumblebee came in at #6 on my Top 10 films of 2018. It’s a real shame, in fact, that the film was made and released after the Transformers franchise had been burned into the ground by some seriously awful late entries in the series. This film is all about the ‘80s: it’s set in the ‘80s, it has a great ‘80s soundtrack, and best of all, it has a real ‘80s vibe to it that is reminiscent of movies like Starman and D.A.R.Y.L. 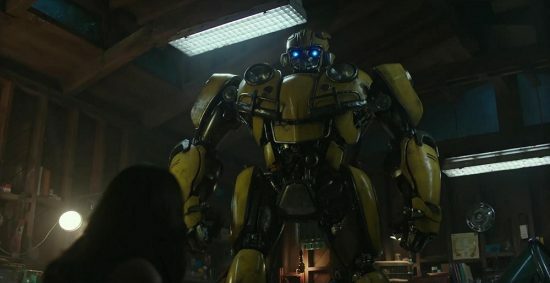 Hailee Steinfeld is terrific in the lead role, and Bumblebee is a terrific character on his own when he has time to develop as an actual character. Plus, the first five minutes of the movie is basically the Transformers movie that we’ve all been waiting 30 years to see. I absolutely loved this movie, and so did my kids. If you skipped it because you’ve been let down by the Michael Bay films, I urge you to give Bumblebee a chance. Bumblebee comes to home video on 4K Ultra HD as well as Blu-ray and DVD, and it’s the clear choice if you have the capability. The film looks and sounds amazing, and the deeper color palette that the 4K format allows for really brings an already colorful film to life. Highly Recommended! The Mule – I liked this Clint Eastwood drama quite a bit, although it has its flaws. The film — which Eastwood directed as well as starred in — is loosely based on a real story and sees an elderly gentleman who finds himself as an incredibly successful drug mule for the cartels. Bradley Cooper and Michael Pena star as the DEA agents trying to track him down. The film is very typical of Eastwood’s directing style; it moves at a languorous pace but it’s never boring, even if it’s never action-packed, either. I wish the filmmakers didn’t see the need to make Eastwood’s character slightly racist, however. It seems like they’re trying to portray him in the “awww, grandpa is just old-fashioned” kind of way, but there are one or two scenes where it’s somewhat jarring and out of place. Still, overall, the film is quite engaging. The Mule comes to home video on 4K Ultra HD as well as Blu-ray and DVD, and while it looks and sounds quite good, this isn’t the kind of film that boasts a huge upgrade in quality in 4K. Colors are a little more vibrant and clarity is terrific, but it’s not a particularly noticeable upgrade over the Blu-ray. Nancy Drew and The Hidden Staircase – Nancy Drew has had a tough go of it on the silver screen. There was an attempt to launch a new franchise with Emma Roberts back in 2007 that didn’t take (even though it was quite good), and now we have a new film starring Sophia Lillis (who was a breakout in Stephen King’s It). Unfortunately, this movie was also a non-starter at the box office. I have to say, I found the film enjoyable, but a little bland. 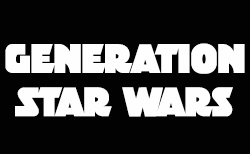 I don’t have a problem with the fact that it’s meant to be more wholesome entertainment for a younger crowd, it just lacks a particularly interesting storyline or any humor or charm that pushes it from “just okay” to “really good.” It’s a perfectly fine movie for the kids (there is one scene that’s a bit scary, however) and parents won’t dislike it, I just wish it had more verve to it. The Man Who Killed Hitler and Then the Bigfoot– Despite a silly title (although you have to admit it catches your attention), Sam Elliott gives this film his all, turning in yet another excellent performance. The story follows an older US soldier who was secretly responsible for killing Adolf Hitler. Now he’s been tasked with finding Bigfoot before he can loose a plague on Canada and the US. So while the premise is silly, the film takes it seriously, but the end result is mixed. It’s a semi-low budget film, so there’s not a ton of action, it’s more story and character stuff, but there isn’t quite enough there to fill the running time. It’s a decent flick, but it doesn’t live up to the fun of the unorthodox title. Stan & Ollie – I’m not sure why Stan & Ollie got kind of dumped on the marketplace. Starring John C. Reilly as Oliver Hardy and Steve Coogan as Stan Laurel, this biopic could probably have been a hit. It’s a solid film with great performance es and some good laughs, and I know there’s enough people out there who remember Laurel & Hardy as one of the great comedy duos of classic Hollywood. But the film was thrown out to just a few theaters with next to no fanfare and disappeared in just days, and I have no idea why. Is it a masterpiece? No. But it is an enjoyable enough film that people probably would have talked about enough to get a bigger audience into the theater? I think so. Warning Sign – Sometimes you get throwback movies released for the first time and they’re pretty bad. But sometimes you get a throwback movie released on Blu-ray for the first time and it turns out to be a hidden gem. The mid-80s biohazard thriller Warning Sign (which was apparently originally called Biohazard) is a taut little thriller about a small town secret weapons facility that suffers a possible catastrophic leak. Sam Waterston plays the small town sheriff desperate to get inside to save his wife (Kathleen Quinlan), while Yaphet Kotto plays the major in charge who will do anything to prevent a contamination from getting out. Pretty neat stuff, and it also includes some new extra features, which is a real bonus. A Silent Voice – I appreciate when anime films are about something other than demons or futuristic robots and cyber cops. So I was interested to see what A Silent Voice was all about. The film follows a bully and his victim (who happens to be deaf), then sees some roles reversed and a pretty long expanse of time pass before there is an attempt at reconciliation. The film is a drama through and through, with nary a cyberdemonic entity anywhere to be found. There are some affecting moments in the movie, and overall it’s not bad, but at 130 minutes, it’s a good half hour longer than it needs to be, and you feel the weight of that running time in many of the scenes. I like more character-driven pieces in Anime, but I wish the Anime studios could figure out that not everything needs to be epic in one way or another. The Heart Guy: Series 3 – This show feels familiar and different all at the same time. An Australian drama, the series follows an arrogant but gifted heart surgeon who ends up working as a general practitioner in his rural hometown after an incident fueled by drugs and alcohol brings him down. Of course, family and exes abide, and the result is a fish-out-of-water, Doc Hollywood-type story that manages to carve out its own unique take on a story we’ve seen before. It’s enjoyable, although I will admit I don’t tend to watch medically-based shows So I might not be a regular viewer, but not because it’s not well done. Rake: Series 5 – I think there was an American remake of this show a couple of seasons or ago. I say “I think,” because it was so short-lived, I can’t even remember for sure. This original series stars Richard Roxburgh (best known as the bad guy in Moulin Rouge, but completely unrecognizable as the same actor here) as a “rakish” defense lawyer who defends some of the worst of the worst. He also has to survive his own self-destructive behavior and the fact that most people either love him or hate him. I haven’t seen Roxburgh in any leading roles that I can think of (besides his turn as the villain in Moulin Rouge), but he’s utterly terrific here and he carries the show with aplomb. Worth a look if you need a new show to binge on. Sheena – This new release from Mill Creek is part of the Retro VHS Collection, which sees a bunch of cult classic films released on Blu-ray in packaging that’s made to mimic the old VHS tapes you’d get from the rental stores. While the discs don’t come with a ton of extra features or anything, there are some great movies to be had here for a budget price. The latest release is Sheena, starring Tanya Roberts as the Queen of the Jungle. While it was never a huge hit, I always enjoyed this film as a sort of female version fo Tarzan. The good news is that this new Blu-ray version of Sheena can be found for under ten bucks on online retailers, making it a cheap and fun flashback trip! Nazi Junkies – There’s no shortage of documentaries on World War II, but this two-part series takes a new approach, focusing on the Nazis’ drug use, both willing and (somewhat) unwilling. The first part focuses on Hitler himself, and the newly uncovered journals of his doctor that indicate that Hitler was a full on junkie, addicted to several different hard narcotics. The secondary looks at the use of speed in the trenches, basically given to the troops to keep them awake and give them stamina. Interesting stuff; both shocking and not surprising at the same time. The Long Goodbye: The Kara Tippetts Story – This feature-length documentary follows the struggles of women fighting against breast cancer. The wife of a pastor and mother of four received a lot of social media attention for her battle, and this film follows her through her last days. But it’s not a depressing film; instead it’s a celebration of her life, her will to live, and her faith. People familiar with Kara’s story will definitely be moved by this film. WB Archive: Starsky & Hutch, Wild Rovers, Year of the Dragon, Man From Atlantis, A Woman of Affairs – The Warner Brothers print-on-demand service has several new releases out this month, some making their Blu-ray debut. First up is Starsky & Hutch, the 2006 big-screen remake of the classic TV series. Ben Stiller and Owen Wilson star, and while the film is flawed, it does have some funny moments. Somehow, it’s never been available on Blu-ray in the US before, so this is a nice release for fans. Next up is Wild Rovers, a western/heist movie directed but the great Blake Edwards (The Pink Panther movies) and starring William Holden, Ryan O’Neal, and Karl Malden. It’s a bit long, but it’s an entertaining film, and for a first time viewer, I was glad to see it in Blu-ray for the first time. Year of the Dragon is a really interesting one. Mickey Rourke stars in this post-Vietnam mob story that was co-written by none other than Oliver Stone and directed by Michael Cimino (director of The Deer Hunter and Heaven’s Gate.) It’s not a perfect film (it’s also way too long! ), but there’s an atmosphere to it that makes for a gritty film. It’s also available on Blu-ray for the first time. Man From Atlantis, meanwhile, was released on DVD a few years ago (also only through the Warner Archive) and now it gets a Blu-ray upgrade. This is the pilot movie for a short-lived 1970s-era TV series starring Patrick Duffy. It’s a bit cheesy and definitely dated, but it’s also a good deal of fun. Finally, A Woman of Affairs (a DVD-only release) stars Greta Garbo and John Gilbert. Garbo turns in a terrific performance as a seductive woman whose life takes a series of wrong turns. It’s the best kind of melodrama, following people whose lives seem to constantly turn the wrong way.